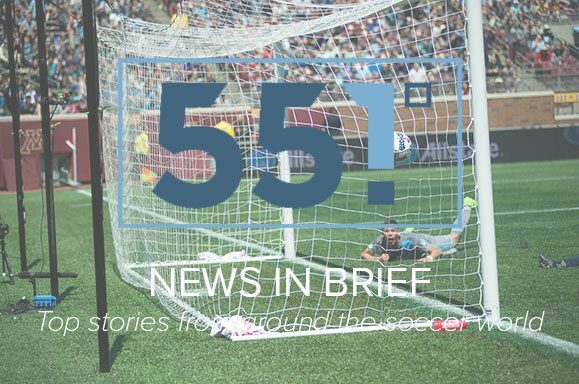 Minnesota United FC opened its new home this weekend, as more than 19,700 fans poured into Allianz Field to see the Loons draw 3-3 with New York City FC. The new stadium saw several milestones met, including the largest tifo in team history, thanks to David Martin and his team. The tarps unfurled over the Wonderwall, the standing-only supporters’ section. Despite the 3-3 draw, new signing Romain Metanire impressed head coach Adrian Heath. The right back has similarly made a good impression on supporters. United face several questions, and if you ask MLS commissioner Don Garber, one of them is if Allianz is too small. With an average attendance north of 20,000 over two years in TCF Bank Stadium, Allianz Field’s 19,600 capacity may be too small. The team says it is too early to think about expanding the stadium just yet. Matthew Doyle takes a look at every team in the league in his Armchair Analyst series, with emphasis on expected goals for and against and what those numbers can tell us about the league. There’s even a cameo from FiftyFive.One alum and Black Hart owner Wes Burdine.